1) Learn about the camp you are about to visit by spending time on the camp's website. 2) Sleep over at a friend’s or relative’s house to experience being away from home. 3) Practice making your bed and organizing your belongings. 4) Help your parents with shopping, packing and preparing for your time at camp so you know everything you are bringing. 5) Talk to your friends who have been to camp about their experiences there. 6) Think about what you hope to do and learn while at camp. 1) Complete all forms accurately and submit them on time. 2) Attend orientations for new campers, if offered. The more your child knows about camp the easier his or her introduction will be. • Label all items with permanent marker, bright nail polish or iron-on labels. • Pack well-worn clothes that can afford pine gum and dirt. • Do not pack money or jewellery. • Send an adequate supply of medication in the original container with dosage instructions clearly labeled. • A fanny pack should be used to store items such as an EpiPen or asthma puffer. • Inform camp health care staff if your child has recently discontinued medication, such as Ritalin, or recently been exposed to a communicable disease. • Inform the camp director if your camper is apprehensive about camp. • Counsellors will pay even closer attention to help your child integrate in the first few days. • Talk about camp in a casual and positive way. • Allow your child to enjoy their own first impressions of camp. • Do not create unrealistic expectations about what camp will be like. • As information about camp arrives, share the information with your child. 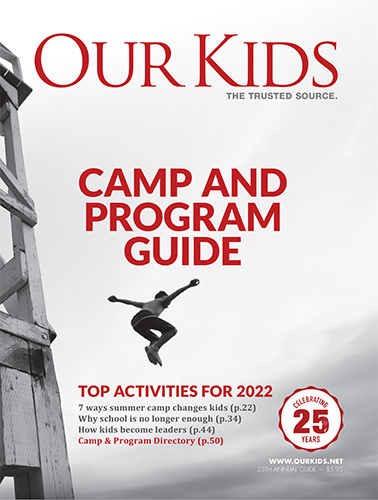 • Allow your child to set their own goals for camp. • Your child may have favourite parts of camp that differ from your experiences. • Learning and achievement will happen with a focus on fun and at your child’s own pace. • Assume that your child will remain for the entire camps session. • An apprehensive camper has a better chance of success if he or she is committed to finish the session. • Letting a child know they can leave at their request may result in testing this at the first sign of a problem like a failed swim test or a disagreement with a cabin mate. • Before departing for camp, check your child’s hair for head lice. • If discovered, make sure it is treated before camp since camps will examine each child on arrival.